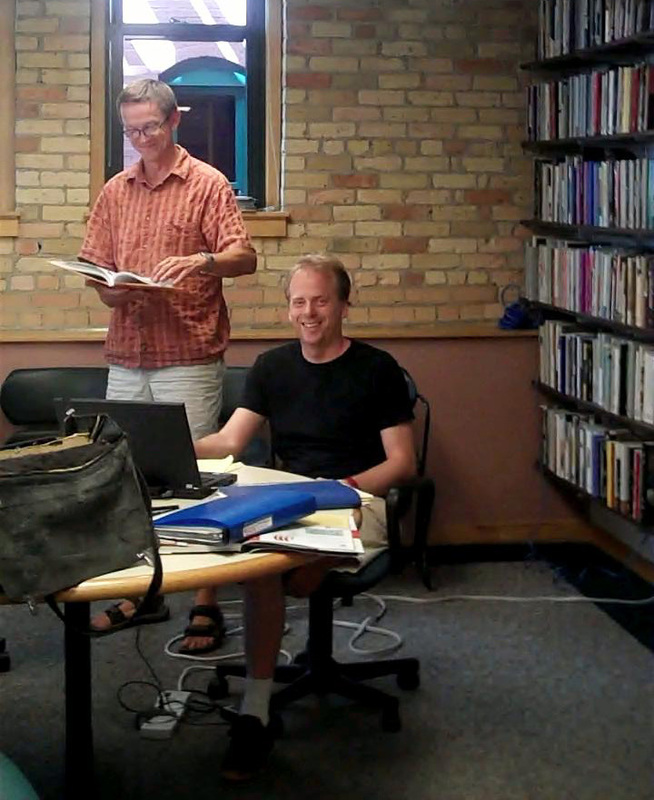 UMP | University of Minnesota Press Blog: What's Eric Dregni up to now? Beloved UMP author Eric Dregni (seated) — whom you might remember (insert Troy McClure voice here) from such popular books as In Cod We Trust, Never Trust a Thin Cook or Midwest Marvels — is here in the office today, hard at work with editor Todd Orjala on a forthcoming project. Stay tuned!